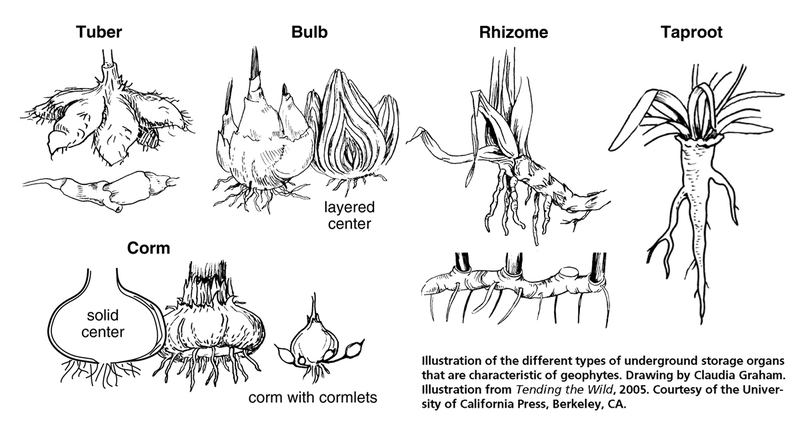 Gardeners tend to lump most geophytes as “bulb” plants, but a broad definition of geophytes would include a morphologically diverse group of species that have adapted differing forms of storage organs. 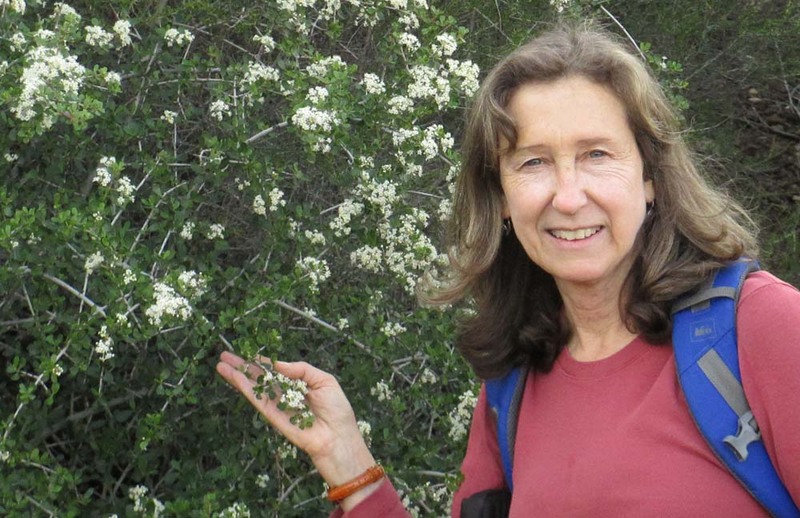 If we think about global ecosystems that experience seasonal stresses where the geophyte growth form may be successful, there are three biomes where these plants are conspicuous components of the flora. The first is the arctic or alpine tundra which has long cold winters. Underground storage organs allow plants to develop vegetative tissues quickly and flower in the short growing season. A second example is the temperate deciduous forests where the understory is heavily shaded in the summer growing season. In these habitats, geophytes can resprout and flower in the late winter or early spring before regrowth of the tree canopy above. Drawing by Claudia Graham. Illustration from Tending the Wild, 2005. Courtesy of the University of California Press, Berkeley, CA. The global sweet-spots for geophytes lie in the world’s Mediterranean-type climate regions, where there is a predictable summer drought. Under these conditions, and with fire as a frequent component of the disturbance regime, the geophytic form of growth provides a highly successful plant strategy of survival. Mediterranean-type climate regions arguably represent the highest diversity of geophytes of any of the world’s biomes. In the end, technical botanical definitions aside, geophytes are defined in a number of practical manners so long as the intent is clearly stated. While underground storage organs have evolved independently in a number of morphological forms, the ecological function and adaptive strategy is much the same. Visit our CNPS Geophyte webpage to learn more. We hope you are enjoying the issue! This entry was posted in Fremontia, Native Plant Feature. Bookmark the permalink.